I bought a Micromax Funbook couple of months back mainly for Android development, I would say it is one of the best Android ICS tables available in the market. Even though the price is only one third of what Samsung and Apple are offering, trust me, this tablet is best for browsing, checking email, watching movies and also for playing HD games and Youtube videos. Few days back I noticed the tablet shutting down without any warning when the power reaches 30%. After doing some research I found a solution to this problem, if you are also facing similar issues browse through my blog post How to Fix Micromax Funbook P300 Tablet Battery Problem. Another issue I found with this tablet is slow and laggy browser. The browser hangs if you open more than two tabs. 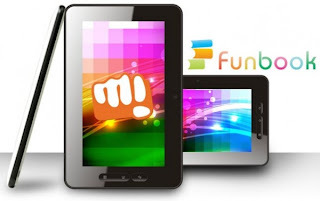 Micromax Funbook comes with Android 4.0 or Ice Cream Sandwich(ICS), the default browser is very slow and sometimes unresponsive. I tried different browsers including Google Chrome, Opera and Opera Mini but none of them gave a nice browsing experience. Finally came across Dolphin Mini which is light weight and feature filled browser for Android. The user interface is more or less similar to Chrome but much much faster than any other browser I tried. I was able to open up to 10 tabs at a time with no lagging! As mentioned above, there are many useful features and hundreds of plugins available for Dolphin browser. Dolphin supports flash too. You can download all these from the Android Market free of cost. Let us know if you use a different browser on your tab which is faster than Dolphin Mini. Also you can try Dolphin HD which is a heavy version of Dolphin Mini. "Maxthon HD" is a good browser as well. Its optimised for Tablet and works well on Funbook. @Manu, thanks for your suggestion, going to evaluate Maxthon HD! I hav recently purchased Micromax Funbook P300. It does not show 100% charging even after callibrating and it gets automatically switched off after battery balance 40% 61%. I have tried Battery callibrator available in Google Play. @Jitendra you can get rid of this problem by flashing a custom ROM.